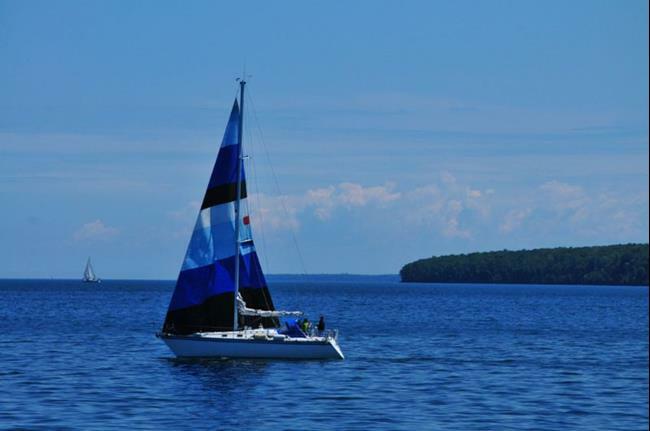 Summertime in the Apostle Islands National Lakeshore is a nautical haven. The Apostle Islands archipelago includes 22 islands and is located in far northwestern Wisconsin, off of the Bayfield Peninsula. Spectacular views of centuries old sea caves and abundant wildlife draw thousands of visitors each year, most arriving by boat. Many publications tout this area as Wisconsin's best kept secret, and National Geographic lists our beloved Apostles as one of the top 10 most beautiful places in the world. 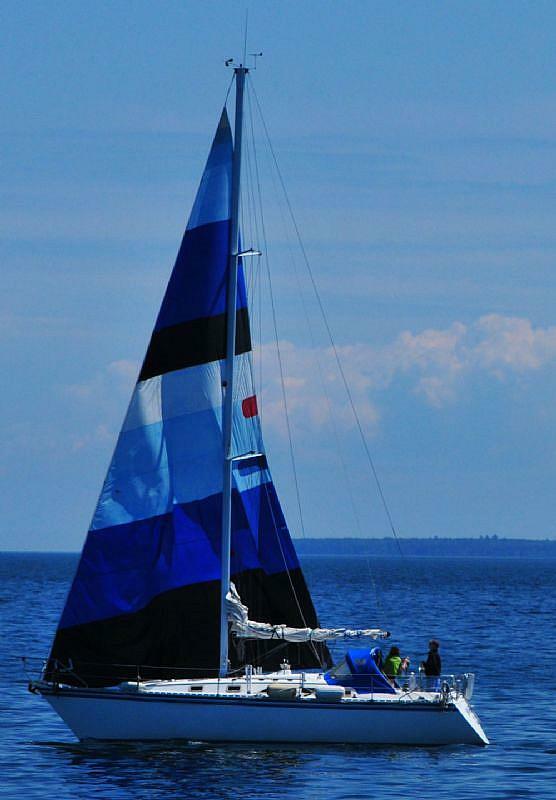 Though the Apostle Islands are visited mainly during the Summer months, they are most beautiful any time of year. Our cool climate can result in a visitor coming away from their experience saying "the coldest I have ever been, was in July on a sailboat on Lake Superior". Indeed, if one needs to cool off on a very hot day, you only have to hop a boat and spend the day on the cool water, which has an average annual temperature of 40 degrees F.
When people from afar see the colors of the mighty body of water in my photographs they invariably ask, "is it really that blue"? Yes, it is really that blue, and being near her shores in Summer is what living this far north is all about. Our climate is very harsh, but Summer makes it worth putting up with the elements of other seasons.